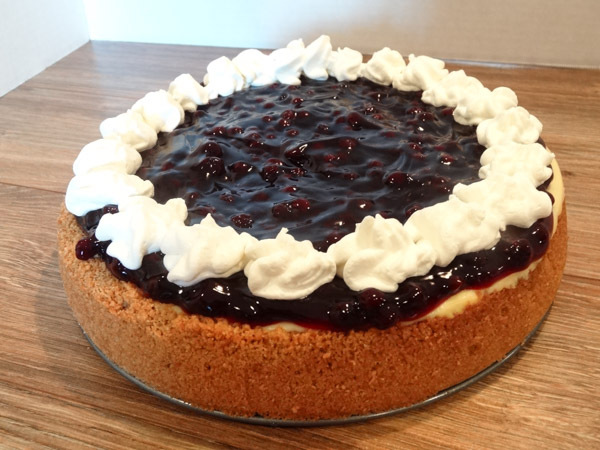 A smooth and creamy cheesecake with a graham cracker crust is topped with blueberry filling and garnished with homemade whipped cream. 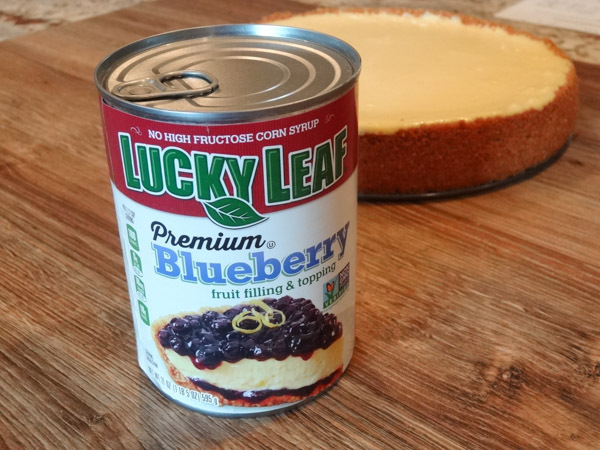 What makes this blueberry cheesecake taste so great? 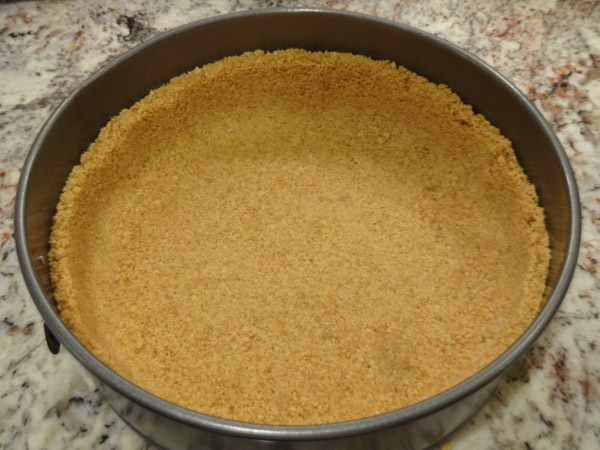 First, the graham cracker crust has a subtle hint of cinnamon. 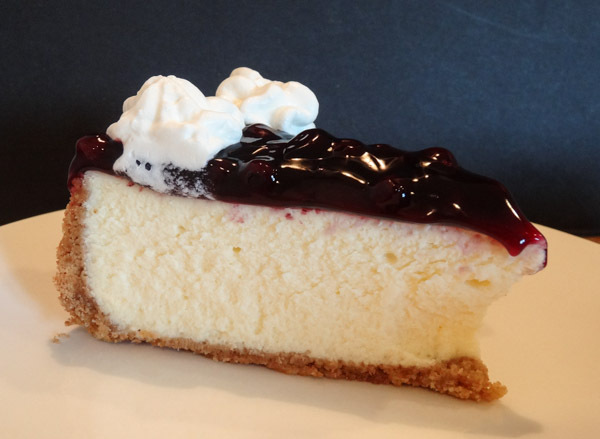 The cheesecake is smooth and creamy. 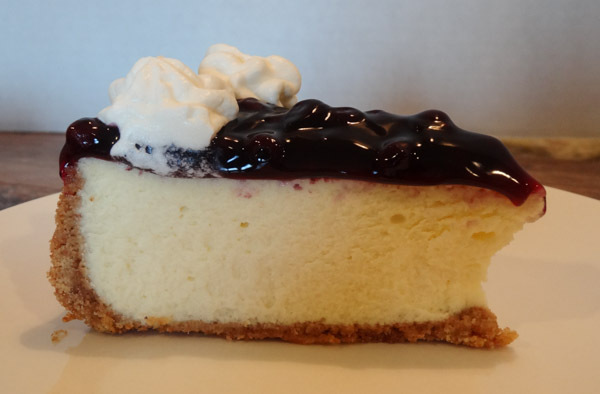 The addition of blueberry topping to this delicious cheesecake will have you smiling in pleasure with every bite. I love cheesecakes. 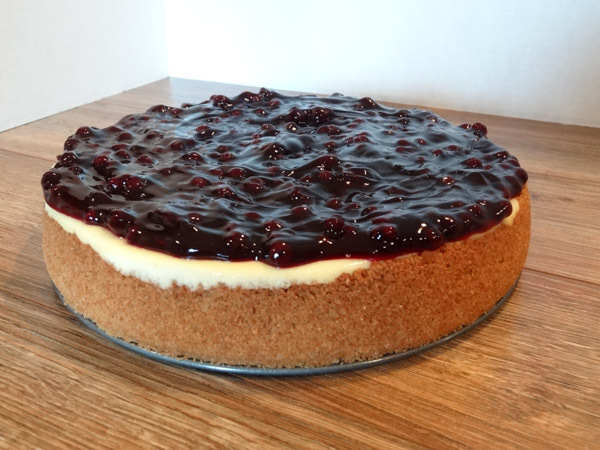 A coworker recently had a birthday and she put in a request for a cheesecake with blueberry topping. 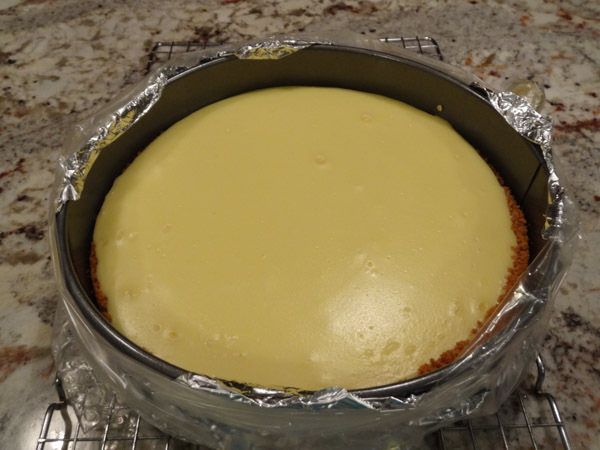 Instead of making the cheesecake with a full cup of sour cream, I decreased the amount slightly and subbed in a 1/4 cup of heavy whipping cream. 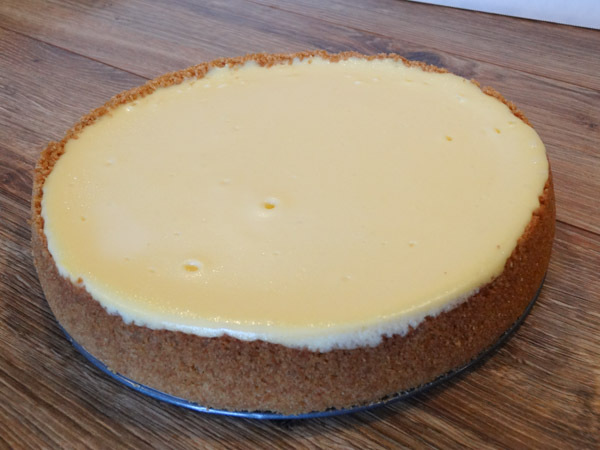 This little change had everyone at work raving about this cheesecake. You know how you get that heavy feeling after you’ve eaten a cheesecake? My coworkers stated they didn’t get that feeling – they said this cheesecake tasted delicious, but felt lighter. Since this cheesecake was such a big hit at work, I made it again and sent it off to my husband’s work. Some of my husband’s coworkers stated it was my best dessert yet, so I knew I wanted to share this dessert with you. Use room temperature ingredients. 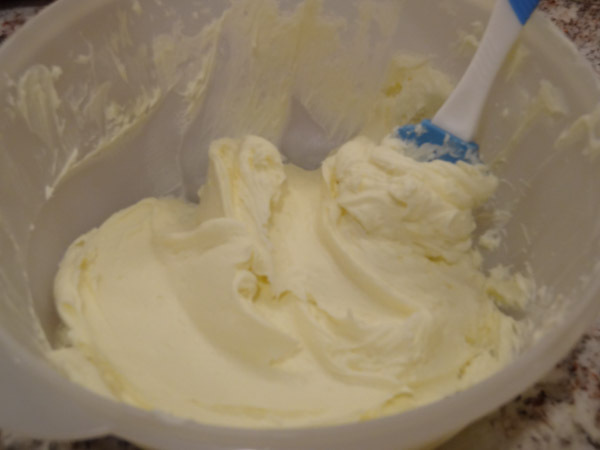 Leave cream cheese, sour cream, eggs, and heavy whipping cream out on counter for at least an hour before you start making recipe. 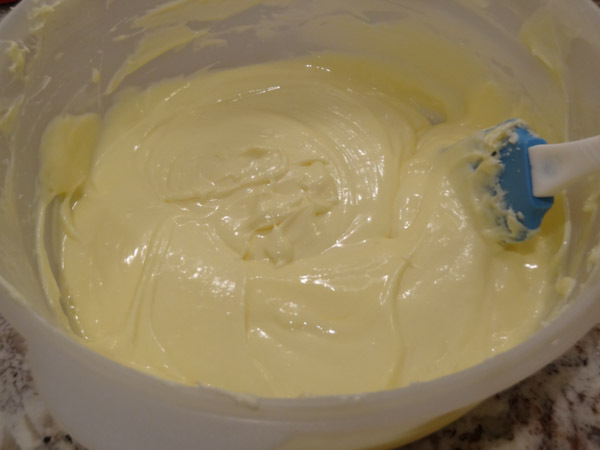 Melt butter in microwave safe bowl. Add crushed graham crackers into bowl with butter. Add in sugar and cinnamon. Toss with fork until all ingredients are well-combined. Bake at 350 degrees F for 8 minutes. Remove to wire rack to cool. Add in eggs, one at a time, followed by vanilla extract. Blend on medium speed until well-combined. Add in sour cream and heavy whipping cream. Blend until smooth and creamy. Double wrap outside of springform pan with aluminum foil. I also like to wrap outside of pan with a slow cooker liner. These two steps really help in preventing water from seeping in while baking. Pour cheesecake filling into prepared pan and smooth out top with spatula as needed. Fill large roasting pan with approx. one inch of hot water. Carefully place springform pan into roasting pan. Bake at 325 degrees F for one hour, ten minutes. Center of cheesecake should still be jiggly. Turn oven off and crack door open. Keep cheesecake in oven for an additional thirty minutes. Place cheesecake on wire rack to cool to room temperature (approx. 30 minutes) and then cover top with foil and refrigerate for at least 6 to 8 hours to chill. Remove chilled cheesecake from springform pan. You can cut and slice like this or if you want, you can add whipped cream to the borders of cheesecake. 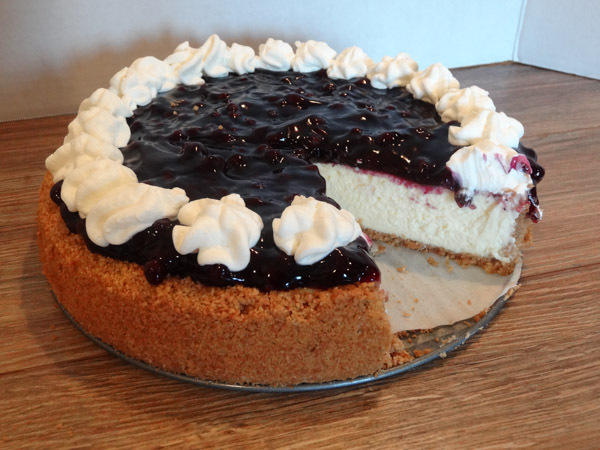 A homemade, creamy cheesecake with a graham cracker crust is topped with blueberry filling and garnished with whip cream. A great tasting cheesecake. Preheat oven to 350 degrees F. Melt butter in microwave safe bowl. 2. 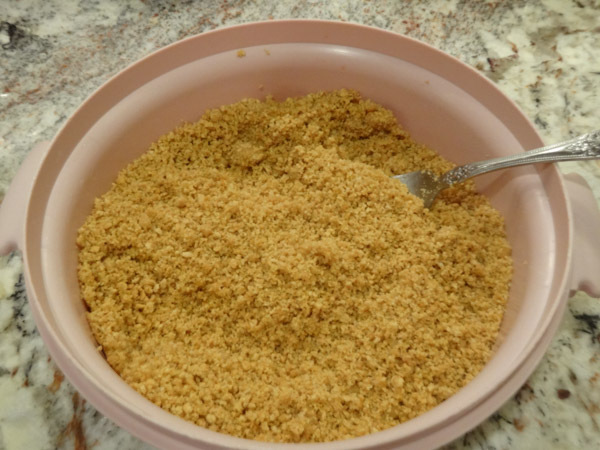 Pulse graham crackers in food processor until finely crumbled. Add crushed graham crackers to melted butter. Add in sugar and cinnamon. Toss with fork until well-combined. 3. Press cookie mixture into bottom and up sides of nine-inch springform pan. 4. Bake for 8 minutes. Remove to wire rack to cool. In large bowl, add in softened cream cheese and sugar. Blend with electric mixer on medium speed for 2 to 3 minutes. 2. Add in eggs, one at a time, along with vanilla extract. Continue to blend until ingredients are well-combined. 3. Add in sour cream and heavy whipping cream. Blend until smooth and creamy. 4. Double wrap outside of springform pan with aluminum foil and/or slow cooker liner. Pour batter into prepared pan. 5. Fill larger roasting pan with about an inch of hot water. Carefully place springform pan in roasting pan. 6. Bake at 325 degrees F for one hour, ten minutes. (Center of cheesecake should still be jiggly). Turn off oven and crack door open. Leave cheesecake in oven for additional 30 minutes. 8. 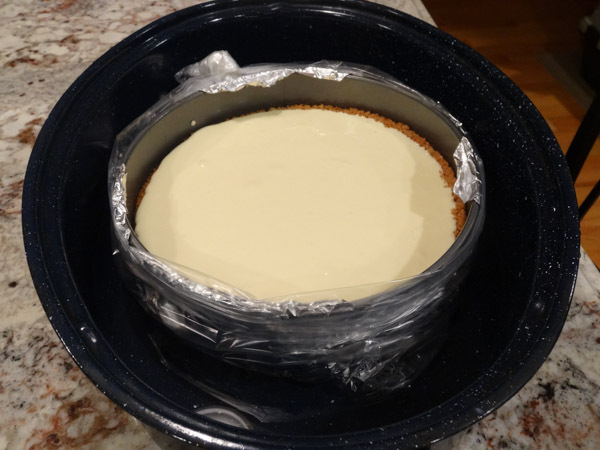 Cover top of cheesecake with aluminum foil and refrigerate for at least 6 to 8 hours to chill. 9. Release chilled cheesecake from springform pan. Spoon blueberry filling over top of cheesecake. 10. Add whipped cream to borders of cheesecake (optional). 11. Slice and serve. Keep stored in refrigerator. In medium sized bowl, add in heavy whipping cream, powdered sugar, and vanilla extract. 2. 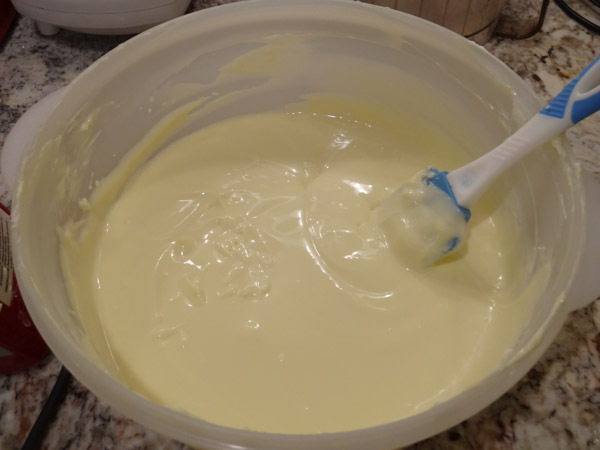 Blend with electric mixer on medium-high speed until stiff peaks form (3 – 5 minutes). 3. 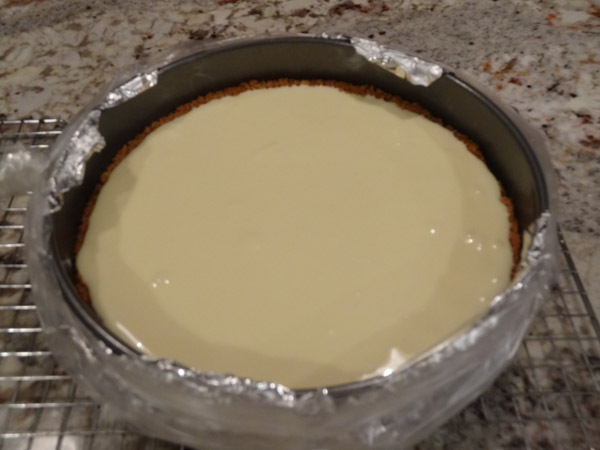 Place whipped cream in piping bag with choice of decorating tip and garnish border of cheesecake.